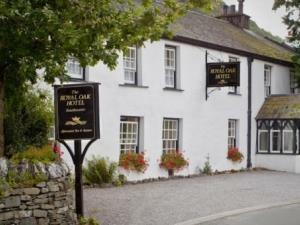 Royal Oak Hotel017687 77214work Small HotelThe Royal Oak is a traditional Lakeland hotel ideally situated 6 miles south of Keswick. Once an 18thC farmhouse, and former miners tavern, it is still the perfect base from which to explore the Lake District. We take great pride in maintaining our homely atmosphere and excellent value for money. Although modernised with central heating, the thick walls, snug bar and cosy sitting room with open fire retain the hotels historic character.